This is not another granola recipe. Well it’s sorta not. In truth, I set out to make granola. I got out my huge challah dough bowl and filled it with all the oats I have left. I had big plans to make my last batch of granola before Pesach. 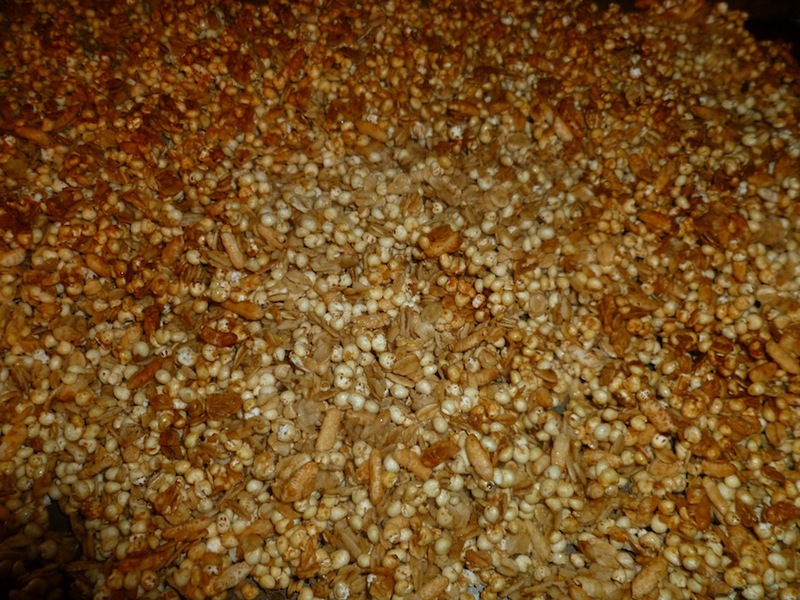 And then I decided to add puffed millet and puffed rice. And that, my friends, is what makes this recipe cereal. 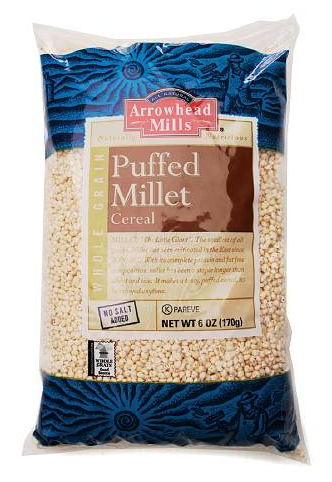 Now, if you’ve ever tried plain puffed millet, or worse–puffed millet in milk–you probably never did it again. That’s because the stuff tastes like Styrofoam packing material. But baked with honey? That makes it incredible. What I thought on Thursday would be enough cereal to last until Pesach was gone by Sunday night. Looks like I’ll be buying more millet. Preheat oven to 300 degrees. Stir the Old Fashioned oats, puffed cereal, cinnamon and almonds together. In a separate bowl, combine the peanut butter, honey and oil together. Pour wet mixture over the cereal slowly while stirring. Stir until evenly coated. Bake for 20-25 minutes until light brown, stirring once during baking.